"Puerto Rico is facing devastation after the worst hurricanes in a century hit the already hurting island. The situation is critical for the entire island, but even more so for its most vulnerable communities. The 26,000 residents in the Caño Martín Peña communities live in a flooding-prone area in substandard housing. Many houses have been partly or completely destroyed during the hurricanes. 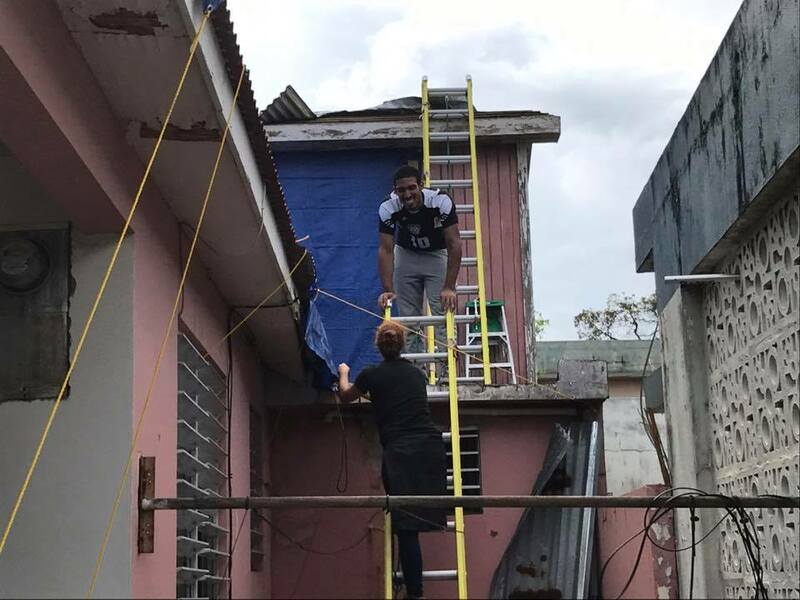 Mother Jones has published a great article about the Cano Martin Pena, highlighting all the work they are doing to rebuild in the aftermath of the hurrican. 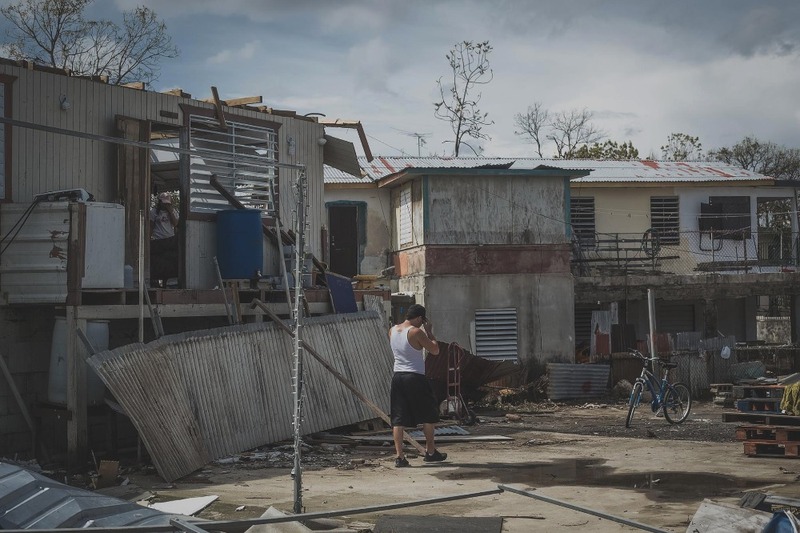 Aljazeera reported a story about the dangers that lie ahead as developers may seek to use the hurricane as an opportunity to displace the residents of the Cano Martin Pena. And Rolling Stone magazine just published a story about the Cano Martin Pena, and the good work of Proyecto ENLACE. Residents are now working with volunteers, architects and engineers, to rebuild the neighbourhood in a way that can reduce their vulnerability and ensure equitable development. Money is needed to help rebuild. 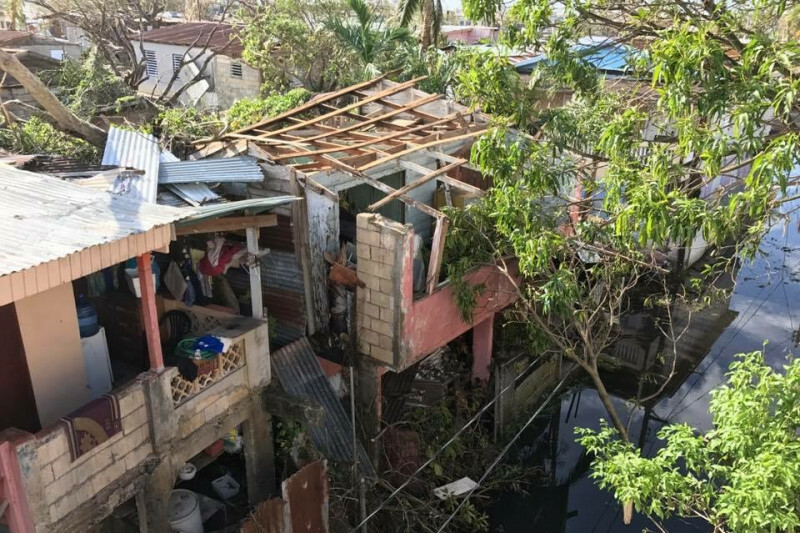 The Champlain Housing Trust is acting as our fiscal agent, and will make sure that 100% of funds raised for relief will go to the residents through the G-8, the group of community organisations led by residents of the Caño Martín Peña communities. Money will be spent on buying construction materials and replacing furniture and white goods for those who have lost everything. The Caño residents won last year's United Nations / BSHF World Habitat Award for their Community Land Trust -- joining the Champlain Housing Trust as a past award recipient. We want to thank everyone who has donated to this campaign! We've just passed our second fundraising goal -- and have raised our target to $55,000. We will continue to work hard to spread the word so we can reach (and hopefully) surpass it. THANKS TO YOU -- WE EXCEEDED OUR GOAL!!! I am so pleased to report that when we closed the campaign this weekend, our total tally was $58,696 (including offline donations) -- which exceeded our goal of $55,000! I want to recognize the good folks at Mission Neighborhood Centers, Inc. (San Francisco), whose donation of $4,000 put us over the top. Most of all, I want to thank the 517 people and organizations that contributed to this campaign! We will continue to keep you all informed about the ongoing efforts to rebuild the Cano Martin Pena neighborhoods. TODAY IS THE LAST DAY OF OUR CAMPAIGN! We need to close down this fundraising drive today. For those of you who have already contributed -- many thanks! And for those who haven't -- or are able to give a little more -- please contribute what you can. WE ARE ONLY $404 FROM REACHING OUR GOAL WITH TWO DAYS LEFT IN OUR CAMPAIGN! Folding in $1,750 in offline donations that we have received, we've raised a total of $54,596 so far -- which means we are just $404 short of our goal with two days left in our campaign. Please contribute what you can -- and help us reach our goal of $55,000. JUST 5 DAYS LEFT IN THIS CAMPAIGN! As always, I want to thank all of you for contributing so generously to this campaign. We will be closing our fundraising effort on December 2nd -- and we are so close to achieving our goal of $55,000! Rebuilding efforts in the Cano Martin Pena continue -- and as you can see from the attached photos, the challenges are daunting. So many damaged buildings -- and an electrical infrastructure that is months away from being fully operational. - 75 families have lost their homes. - 75% of the community was flooded with contaminated water. The Cano Martin Pena CLT -- and ENLACE -- continue to do amazing work, as you can see from the attached poster that describes both the challenges and responses to the hurricane. Again, for those of you who have contributed -- many thanks! And for those of you who haven't, please pitch in and help us reach our goal of $55,000 by the end of this week.